It’s that time again when I share some fun activities to do for the month to add some variety to your lessons. So March of course is an awesome month. The most obvious of the holidays is St. Patrick’s Day which is on the 17th, but March is much more than good luck. 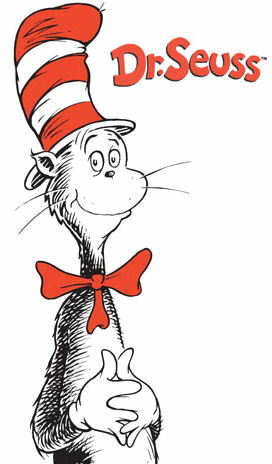 It is National Nutrition Month, Women’s History Month, and it is the month that contains Dr. Seuss’ birthday and Read Across America Day (both on the 2nd of March). So enough blabbering, here are some activities. First, let’s Go Green with a few recycle, redesign, and reuse projects. Recycled Tee Shirts can be made into totes, aprons and pillows! Recycled Cereal Boxes can be made into journals and accordion file totes! Recycled Magazines can be made into Wallets, coupon holders, pencil cases and more! Or how about allow your students to research ways to redesign and reuse something that they no longer use! You can also check out some other ideas here! Here are some links to a few tutorials for completing some of the above projects! Make your own accordion file organizer! Dressing up as Dr. Seuss characters and other favorite characters from childhood books! You could also use this time to have students write their own books and donate to daycares and elementary schools. Then of course, it’s Women’s History Month. Below you will find some projects to add some variety to your already great lessons. Finally, it’s National Nutrition Month, so I’m going to share some healthy recipes that all contain something green! All the recipes would be easy to prepare as a foods lab and would be something new and different for the students to try! I hope that you have enjoyed this post and keep checking back as always for new and creative ways to add some variety to your lessons. Enjoy the FACS of life!!! ← Bellringer Ideas for not just FACS!